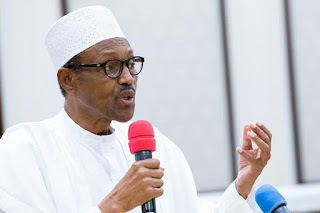 President Buhari on Thursday, July 12, congratulated the staff and management of Nigerian Liquefied Natural Gas (NLNG), NNPC and other joint venture partners on the signing of the contracts for the Front End Engineering Design (FEED) of Train 7 of the NLNG Project. The MOU was signed in London on Wednesday, July 11th between NLNG, the B7 JV Consortium and the SCD JV Consortium. According to President Buhari, the contract signing, which had been delayed for about eight years, is an indication that foreign investors have regained confidence in Nigeria. He stated that the project is expected to create about 8,000 jobs. President Buhari congratulated the board, management, staff and shareholders of the Nigerian Liquefied Natural Gas company (NLNG), NNPC and other Joint Venture partners, Shell, Total & AGIP on the signing of the contracts for the Front End Engineering Design (FEED) of Train 7 of the NLNG Project. “The signing of the MOU between the NLNG, the B7 JV Consortium and the SCD JV Consortium is an important step on the way to the new NLNG Train 7 which is expected to increase Nigeria’s gas output from 22 million metric tonnes per annum to 30 million MT per annum. “The fact that this contract signing is happening after an 8-year delay is a clear indication of rising investor confidence in Nigeria. It also represents a milestone for the Niger Delta region, which rightly yearns for more development projects. The project is expected to create about 8,000 jobs,” Buhari stated. The federal government has previously revealed that a national carrier for the country would soon be named. It disclosed this after receiving the Outline Business Case (OBC) of compliance certificate from the Infrastructure Concession Regulatory Commission (ICRC). The Minister of State for Aviation, Sen. Hadi Sirika, who received the OBC certificate from the ICRC assured Nigerians that the national carrier procuring process would be transparent and the airline will be profitable in the first three years in operation. According to Sen. Hadi, the new airline will commence operation on December 19 with five aircraft, and expected to grow gradually to a capacity of 30 aircraft in five years. Good to see that another 8,000 Nigerians will be getting jobs. Who says Buhari isn't working? This Great and Good News for Nigerians!